Every year we need to print off hundreds of enrolment forms to verify details of new students and current students. Each of these forms is pre-filled with students details and there is a separate PDF for each student. Previously I used Multiple PDF Printer but this no longer works with Acrobat X. Instead I created an Action Wizard that allows you to select the folder with all the PDFs and it will print them all to your default printer with the default settings. To create this you can follow the following directions or import the attached action. Click OK. Then click Saveand type in a name for the action and a description. 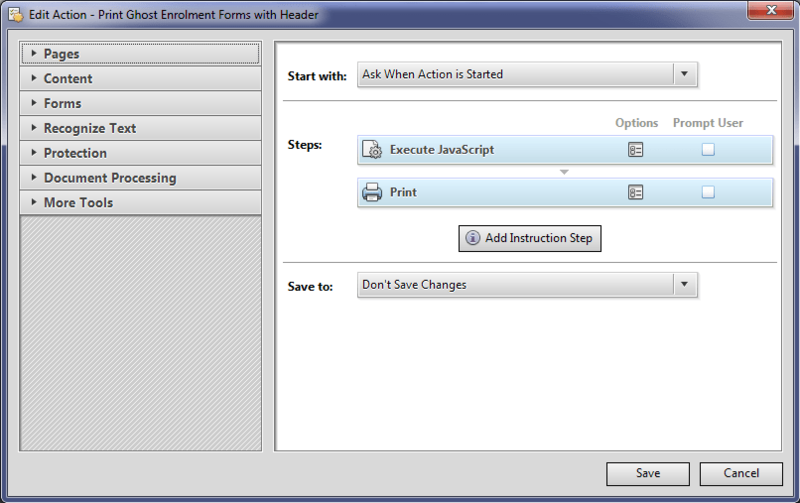 Set your default printer and printer settings to how you want your documents to print (e.g. Double sided, Stapled). Click Next on summary screen. You may tick Don’t show again box if you wish. 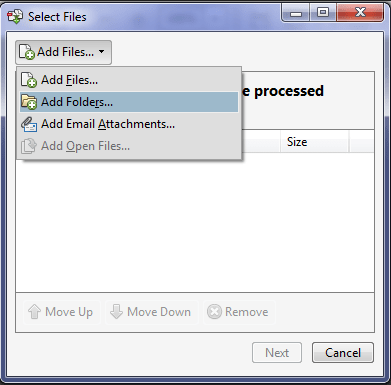 Click Add Files… drop down and choose Add Folders… and select the folder holding the PDFs. Click Next and it will start adding the header and printing the files. This entry was posted in Windows and tagged action wizard, Adobe Acrobat, bulk PDF, DET, header, pdfs, Printing. Bookmark the permalink.